Calm, relaxing and opulent. Boutique hotels have rocketed in popularity over the last decade, not only because more people wish to stay in them but because many want to recreate the distinctive style in their own bedrooms. The muted, yet undeniable charm and elegance has made the boutique look one of the most sought-after bedroom styles.Â Let us show you how you can achieve boutique chic with a few simple tips. Its easy to go over the top with accessories, mistakenly thinking that âmore is moreâ â when often, the old adage, âless is moreâ is more apt. Subdued colours such as creams, beiges and greys in a mix of fabrics work really well. Your bed will look divine with a scattering of cushions and throws that complement an existing theme or make a statement. Introduce some fresh cut flowers or scented candles to your room. These will appeal to the other senses, creating the full effect of a boutique room. And donât forget to invest in soft, plump pillows filled with duck and goose feather and down. If you are allergic then Microfibre is a great replacement that is soft, yet supportive. We admit it. Leaving your warm spot in those soft cotton sheets on a dark and unsympathetic morning in December was never going to be easy. But needs must for many of us and it can sometimes be those little changes that make all the difference to a woeful winter. So, if you are not a natural early morning lark, and need some help embracing the cold break of day, check out our tips. 1)Prepare.Â The night before, get things ready so you can leap into action the next day. Itâs not rocket science, we know, but planning like this can help you feel more organised and therefore less stressed in the mornings. Going through the motions is much easier when your clothes, bag and briefcase are laid out for you, requiring minimal thoughts or decisions to be made! 2)Get to bed early. As the importance of sleeps continues to move up the self-care agenda, we are realising how crucial our nighttime slumber is to our overall well-being. Feeling more refreshed in the morning gives you a renewed ration of energy to face the day ahead and can make those early starts much easier. If youâre not used to getting to sleep early, try it out as a one-off..you might be surprised how different you feel. 3)Let there be light. According to research in the Telegraph (2014) there are approximately two million people in Britain who suffer from SAD (Seasonal Affective Disorder) â a condition where sufferers feel fine during the summer months but often sad, down and lethargic in winter when light is at a premium and winteriness is all around. If you experience SAD, it is important to note the importance of light. There are lots of different light therapies, or phototherapy devices available that replicate natural lightness. These light boxes/devices are often used as treatment for SAD and are available at a range of different prices. Chunky knits are back in style on the catwalk and in the bedroom. Create a lusciously cosy and on trend bedroom with throws and pillows from the Oslo Collection or the gorgeous St Ives Collection. The ultimate in Hygge and Cosagach comfort, the Oslo Collection takes inspiration from Scandinavian style to create a beautiful hand finished piece for your bedroom or living room. With a honeycomb knit, you can instantly create a cosy feel with your white linen for a perfect wintery look. 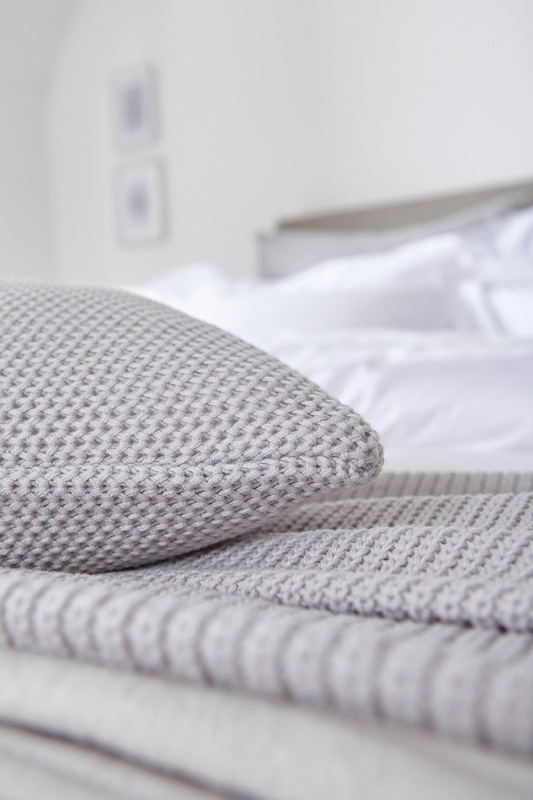 For a real statement, add the thick chunky knit of the St Ives throw to your room for the ultimate in comfort. While they look great in your home, on trend knits also make the perfect gift for a loved one. Wrap in brown paper and dress with a bow for a gorgeous and luxurious gift for less. Get it by Christmas and order next day delivery by Wednesday 20th December. Treat your loved one to a luxurious and relaxing night's sleep with beautiful bedding from DUSK. Be inspired by our latest gift guide and help your family or friend enjoy a better night's sleep this Christmas. Ensure your loved one has a heavenly night with our bedding range, created with your comfort in mind Spoil them with luxurious goose down or the sumptuously soft microfibre Feels Like Down fill. For the interior design lover, 100% cotton bedding is a must-have. With a choice of simple white, elegant lace detail or subtle colour hues you are sure to find the perfect set for a gift. Perfect for cosying up, our range of knitted and cotton quilts and throws can make anyone feel at home. In styles to suit a variety of tastes, from cosy cottage to city chic whoever receives this is incredibly lucky. Our Supreme Goose Down Mattress Topper is the ideal gift for the one who loves a little luxury in their life. With an incredibly plush layer of pure white goose down, the topper is a simple yet perfect gift. Browse our full range online to find the perfect gift or to treat yourself. With the hustle and bustle of Christmas and the New year, make your bedroom a peaceful space to return to after a busy day. Once the wrapping paper has been cleared away it's time to take some time for yourself to recover and the bedroom is the ideal space to recuperate. Soft palettes with accents of dusky pink or grey create a calming atmosphere to ready yourself for the new year. 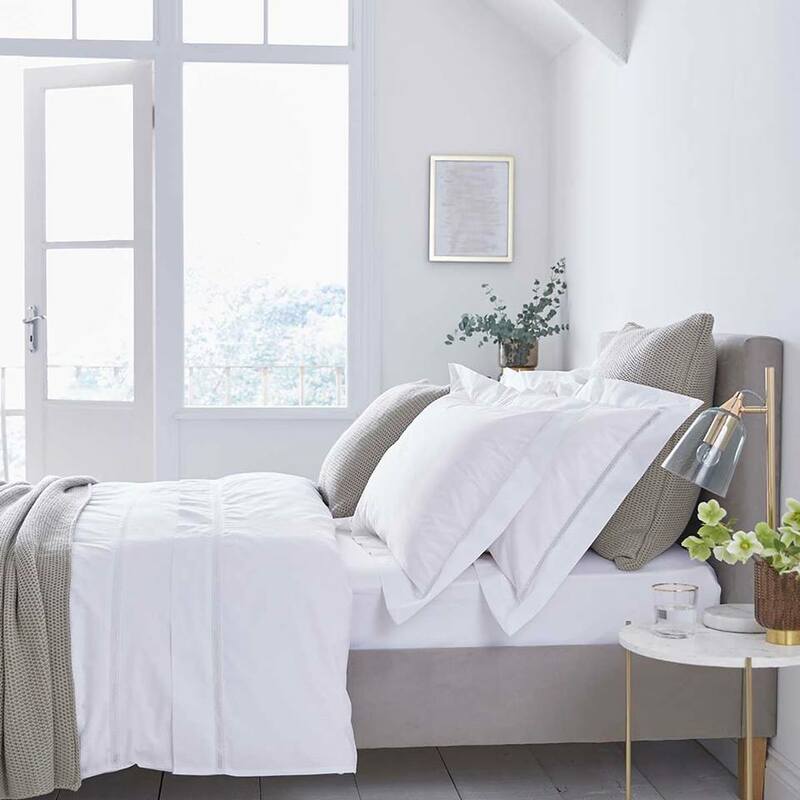 Incredibly silky sateen cotton or crisp cotton percale feel amazing on your skin, while a weighty 9 tog or 13.5 tog duvet will make for an extremely restful night's sleep. 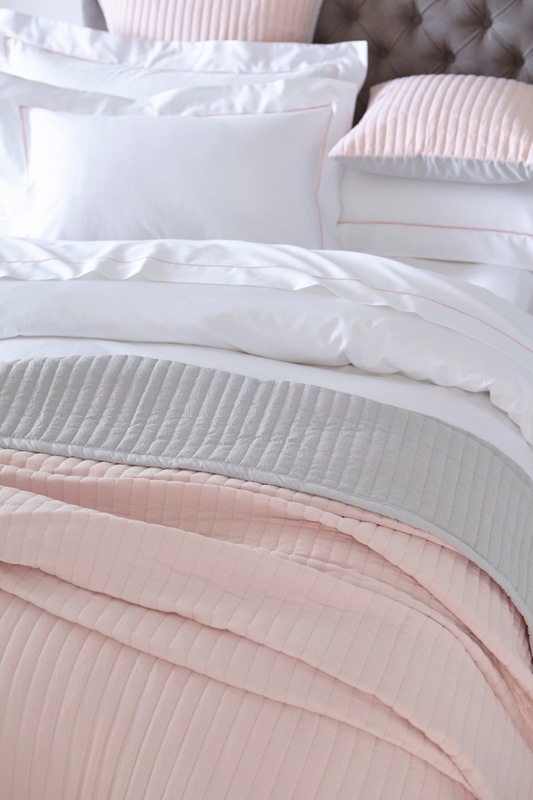 The Twilight Collection's soft, dusky pink is the perfect way to add a subtle touch of colour to your white bedding. Make it cosy with the Luxury Faux Fur in cloud grey. ... or the hexagonal knit of the Oslo in light grey. Let us know in the comments how you create a relaxing getaway. We are passionate about luxury bedding for less! 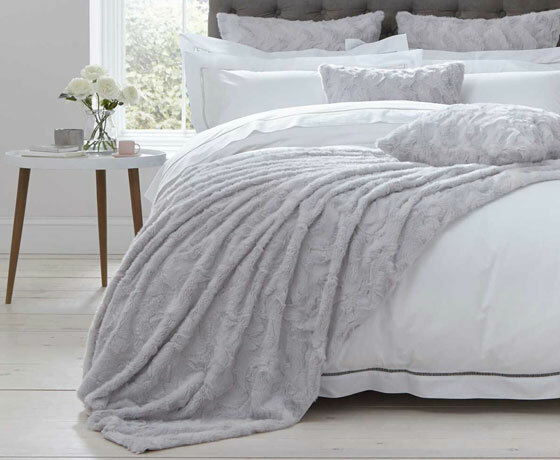 Whether it’s gorgeous white bedding, fluffy down duvets or beautifully detailed throws, only the best goes into our collections. That's why we love to see how happy customers have styled their brand new DUSK bedding. Here are just a few of our favourites from this year! Don't forget to share how you've styled your new DUSK bedding with #MyDuskStyle. Visit our Instagram and Facebook pages for daily inspiration and bedroom decor tips. It's beginning to feel a lot like Christmas at DUSK HQ! The DUSK team have listed their favourite ways to make the home festive this December. There is nothing better than curling up beneath 100% cotton sheets on a cold night. Make your guest and master bedroom feel like a 5-star stay with DUSK's collection of 100% Indian Suvin white bedding. Go natural with your festive touches around the home with sprigs of holly, evergreen, dried oranges and cinnamon. 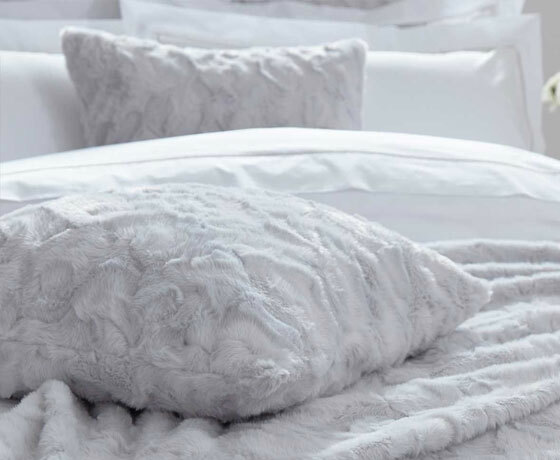 Freezing temperatures make us want to cuddle into thick goose down duvets. 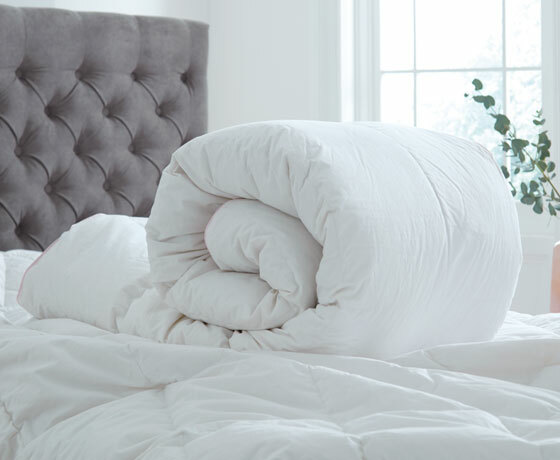 Make your bedroom incredibly cosy by adding a thicker 9 tog or 13.5 tog duvet and layer up with a throw or two. Give the gift of comfort this Christmas with the DUSK collection of duvets and decorative throws. Browse the collection of chunky knits and super soft cotton to find the perfect present for your loved one. Have a better night's sleep with our luxury bedding for less, designed to help improve your rest. Select the right pillow for your sleep style and rest in comfort. 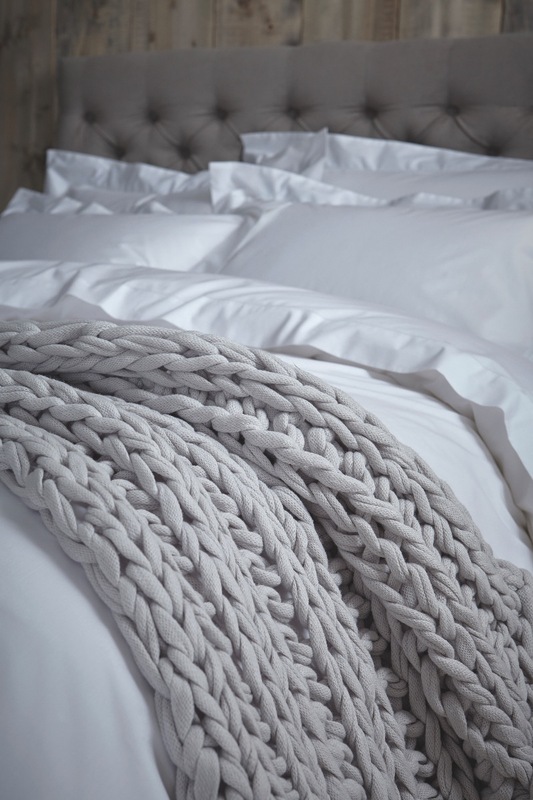 Long-lasting, super soft and versatile, it's no wonder our pure cotton bedding feels so luxurious. Our bedding collections begin with high quality materials. We use our expertise in bed linens and fabrics to source the best materials around the world for our luxury bedding for less. And there’s nothing better than slipping between quality Suvin cotton sheets. Suvin Cotton is considered to be the world’s longest and finest cotton fibre, giving our white bedding its beautifully silky soft feel. Grown exclusively in India, Suvin cotton is stronger, longer and finer than Egyptian cotton. The dense quality of the fibres results in a stunningly soft and lustrous finish for a luxurious look. 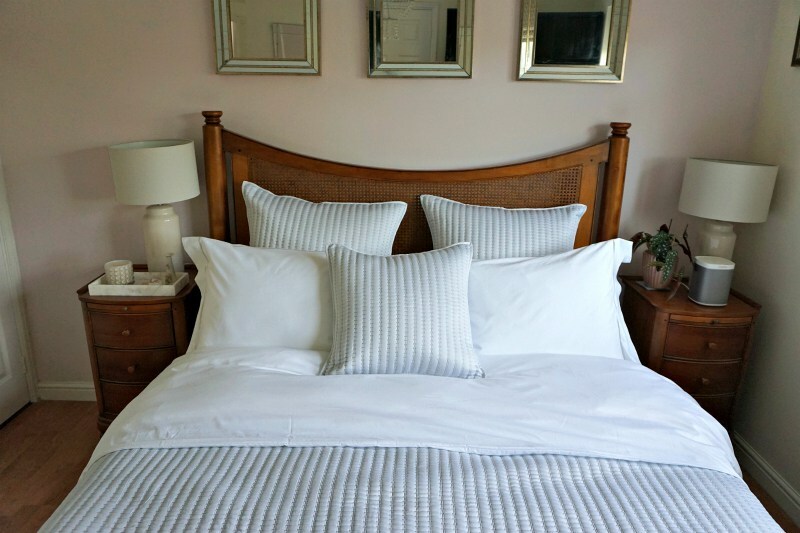 The superb quality of the cotton means that your bedding just improves with each wash, getting softer and softer and making it a true home investment. 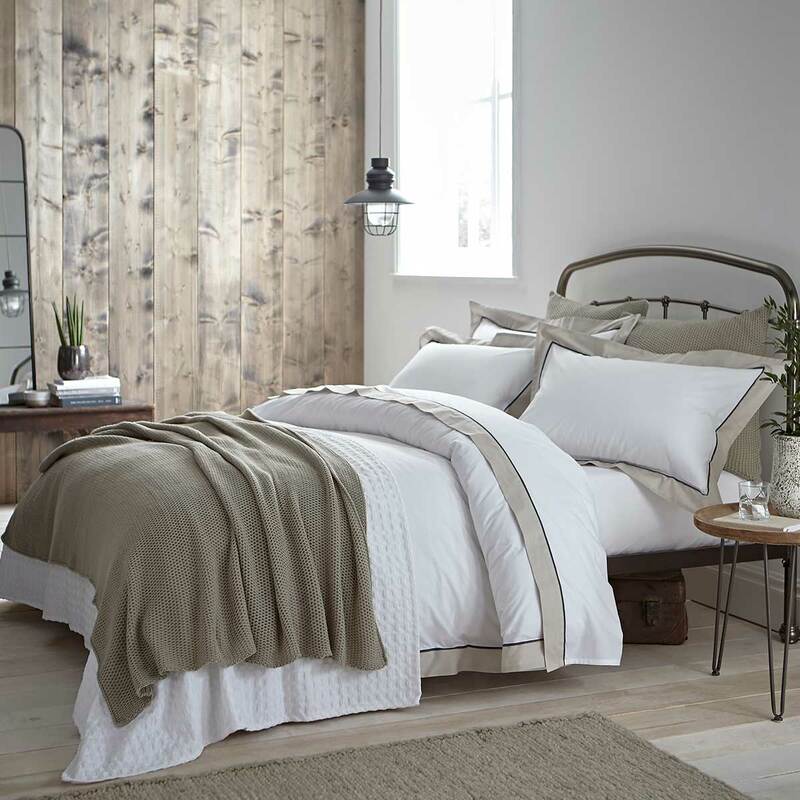 At DUSK, our bedding is made from 100% Suvin cotton and is available in a crisp percale or a silky sateen. 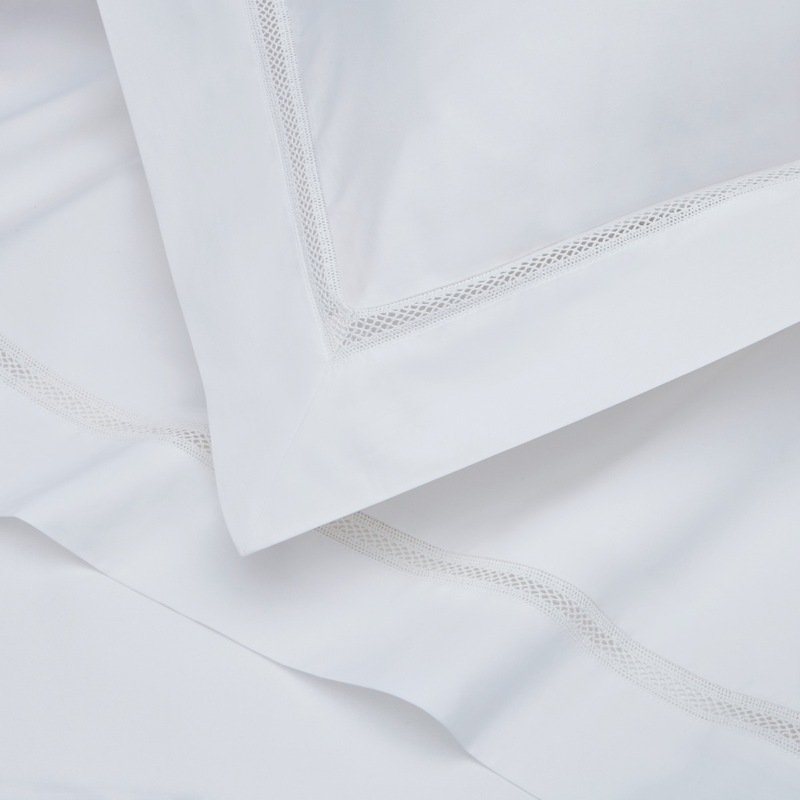 The luxurious cotton bedding is then complemented with Oxford edges, elegant stitching or delicate detail to become our signature styles, only available only at DUSK.com.